Developers using Fyber’s rewarded ad-formats can maximize performance by running currency sales, during which for a limited time, users can earn more rewards than usual for interacting with ads. From a macro level, we routinely see better in-app engagement during currency sales. More specifically, our app developers who run virtual currency sales typically see ad engagement rates jump 25-50% on average during sales. Virtual currency sales offer users and developers alike inherent ROI value propositions. As the user’s reward amount increases, they become more likely to complete offers, which results in increased eCPMs for Offerwall. Fyber’s clients noticed an average of 50-100% jump in eCPMs during the sales period. The virtual currency sale will also attract other unique users who have not interacted with ads previously, and when complemented with increased demand such as weekly burst campaigns, developers see revenue increase. Fyber’s developer clients typically see increases of 200% in average revenue per daily active user (ARPDAU). How can you see similar revenue spikes in your app? Our Monetization and Growth team helps customers implement virtual currency sales that drive revenue every day. This blog has some of their top tips for creating and executing a great virtual currency sale. Believe it or not, ads in general play well with in-app purchases (IAP). Many case studies have shown that users who interact with them are 2.5x as likely to keep playing and twice as likely to make an in-app purchase. Through currency sales, developers entice a large pool of unique users to have a great first-time experience engaging with ads as they earn 2x amount of rewards than usual. In turn, developers normally see an increased engagement with ads after running currency sales. Concurrently, the currency sale increases the pool of ad-engaging users, who in turn, results in a higher number of users making IAP. Letting the user know when you’re planning a sale is important, too. There’s clear evidence that developers who notify users of virtual currency sales ahead of time – on splash screens, between levels, or in game – enjoy better results. Social Point has had great success on their virtual currency sales by placing sale notifications at native in-app engagement points. 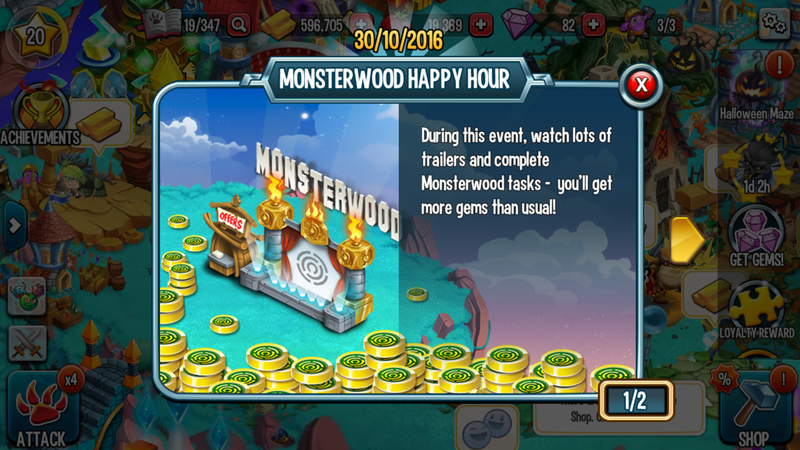 For example, Social Point’s apps Dragon City and Monster Legends offer users rewards (like gems) for watching short video trailers. During currency sales, users are notified that they can earn more gems per video, as seen below. Like others who run successful virtual currency sales, Social Point makes good use of tentpoles: dates like ‘Black Friday’ and events like the Super Bowl mean spikes in user traffic. 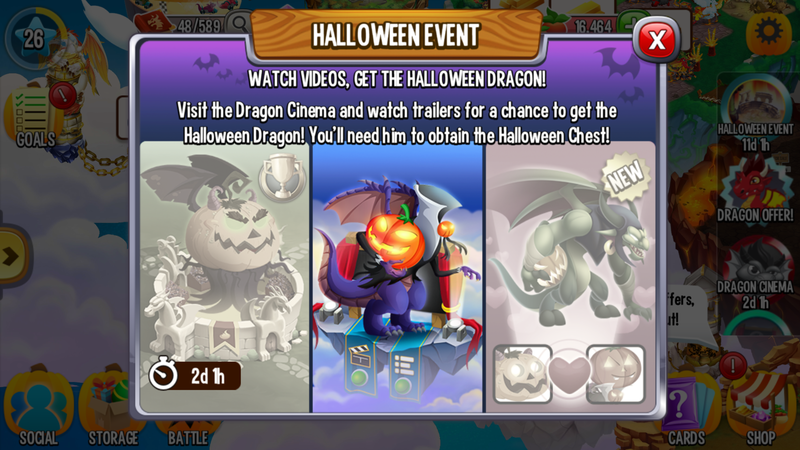 Social Point’s “Halloween Dragon” event is a great example of using the base tentpole of Halloween within a creative, native experience that offers a clear reward for the user. The call to action highlighted the special sale, but remained unobtrusive during the user’s gaming experience through Social Point’s use of targeted in-app notifications. Another thing to keep in mind is not just seasonality and events but also advertiser burst campaign schedules. Big burst campaigns mean big budgets and good bids. Developers should discuss burst campaign schedules with their monetization partner and remain flexible to make the best of the existing opportunities. In a nutshell, our data indicates that currency sales are a high-performing app monetization tactic that perform well with in-app events, and as a standalone tactic. If you’d like to optimize a virtual currency sale in your app, reach out to [email protected], or contact your Account Manager to get started.